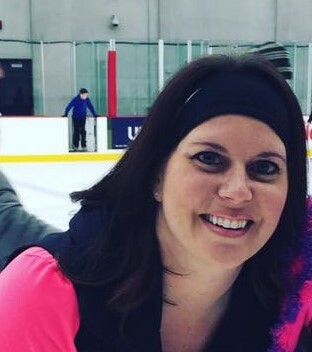 Beth Bruss began her skating career at age 7 and has 18 years of coaching experience with the Star City FSC, FSC of Omaha and at the World Skating Academy in Indianapolis where she completed her PSA apprenticeship under Sergei Zaitsev. Beth competed and medaled at six Regional Championships (a triple gold medalist) and two Sectional Championships as well as many other sanctioned competitions across the U.S. in Freeskate, Moves in the Field, Dance and Figures. A portion of her training took place at the Ice Castle Int’l Training Center in Lake Arrowhead, CA where she trained alongside Michele Kwan and under Olympic icons, Irina Rodnina, Peter Oppegard and Evelyn Kramer. Test accomplishments include Gold Dance, Senior Moves in the Field, Novice Freestyle, Novice Free Dance and 5th Figures Test. Beth was also a 5-Time Shroeder Award winner for most medaled club skater. A PSA-rated coach since 2005, Beth has passed her Basic Accreditation Exam and Registered Sports Science accreditation. She has successfully coached both private and group lessons for children and adults at all levels in Freestyle, MIF, Dance, Choreography, Show Exhibition and tailors her coaching style to the individual goals of each student. Beth, and her husband Kyle have been married for 13 years and have two children, Jaxon, 6, and Norah, 3.